We pull up to your school and you leap into your mama’s arms. Me, you look at with those big wide eyes, appraising. It still takes you a little while to warm up to me, where I know a few hours in, you’ll be just fine. This February is going to stand out to your family for some time to come. See Dadi, we can’t ever prepare for some things in life. Hard things will come and good times will too. If I could tell you one of the biggest secrets in life, it’s this: Love big. You, who are so full of life and energy and boundless amounts of care at such a young age, hang tight to it. Loving big is not something you have to grow out of. So this one is dedicated to you and your best friend Violet. I adore this project (and drawing)! Dadi is lucky to have you around to teach life secrets about loving big. Oh, and I just printed 2 copies, one for me and one for my two-year-old. Thank you. Yea! Dadi is the cutest two year old ever. I wish I lived closer to him and his family to be more in his day-to-day life, but I’ll admit this project has made me excited to chronicle a year in image and word as something he can look back on. I’m also adding more pages and books most days. 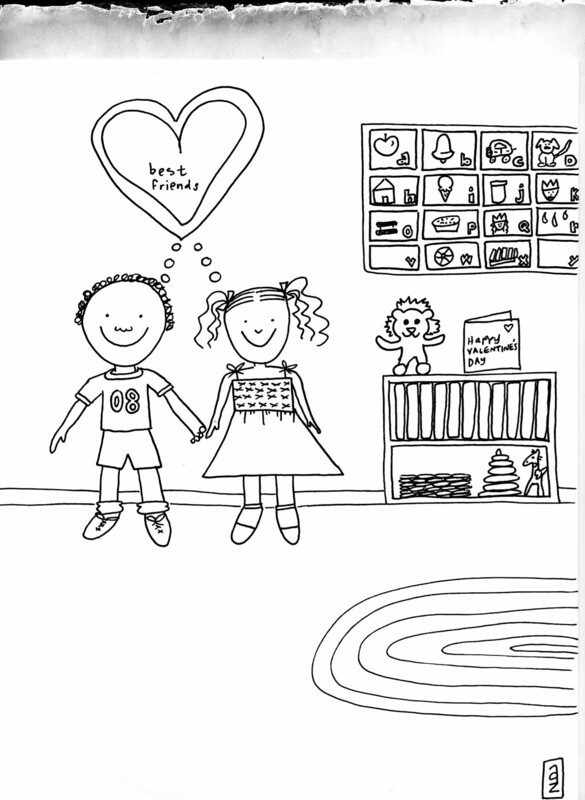 The coloring pages can be colored in online, or printed off to use colored pencils, crayons etc.